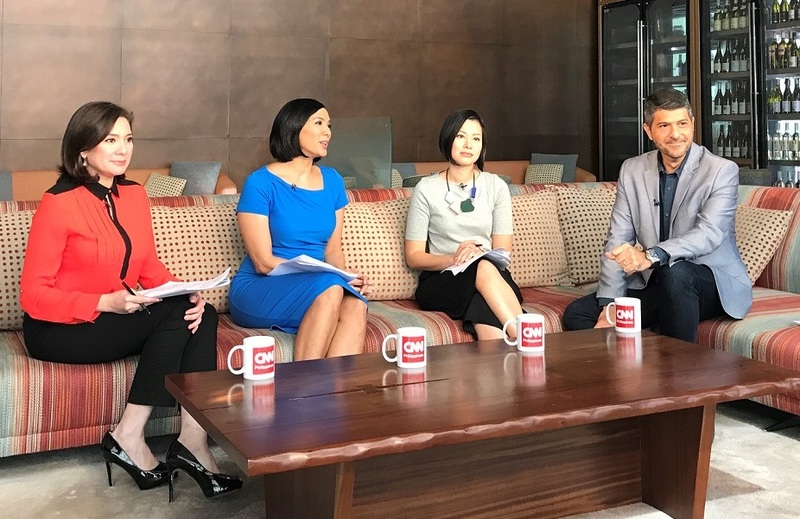 CNN Philippines anchors Pia Hontiveros and Pinky Webb with sociologist Nicole Curato and motoring expert James Deakin. CNN Philippines backtracks on the stories that have made headlines so far this year with two special programs: Rewind: 2017 Mid-Year Report and Town Hall: Duterte’s First Year. The last six months have not been short of events that impacted the country and world as we know it. From President Rodrigo Duterte’s first year in office, the Miss Universe pageant held in the country, investigations carried out over the prevalence of extra-judicial killings, the ASEAN Summit, the various local and international acts of terror that have left the world shaken, and all relevant news stories in between, 2017 already deserves a comprehensive recap. Rewind: 2017 Mid-Year Report is a one-hour special that airs on Thursday, June 22 highlights the biggest news stories in the first half of the year. Join CNN Chief Pia Hontiveros, Senior Anchor Pinky Webb together with sociologist Nicole Curato and motoring expert James Deakin as they look back on the stories and people who have defined the first half of the year. Town Hall: Duterte’s First Year is the latest installment of CNN Philippines’ much-anticipated series, where the most prominent figures in news answer questions in front of a live audience at the Far Eastern University in Manila. To be held live via Facebook on June 28, CNN Chief Correspondent and this year’s KBP KaDoroy Broadcaster of the Year awardee Pia Hontiveros moderates an in-depth discussion of President Rodrigo Duterte’s first year in office — with its achievements and controversies alike — through key figures and groups who have played worthwhile roles in his administration thus far. Catch Rewind: 2017 Mid-Year Report on June 22, 8 p.m. at CNN Philippines. Highlights from the special will air on all CNN Philippines news programs on June 23. Town Hall: Duterte’s First Year will be held live at the Far Eastern University on June 28, 3 p.m. A Facebook Live simulcast will also take place on the CNN Philippines Facebook page (facebook.com/CNNPhilippines). Town Hall will air in CNN Philippines on June 30.